I'm getting ready for a trip to Paris next month and decided to brush up on my French. What to do! So many choices. Did you know you can take online classes for free? One of my favorite sites is Duo Lingo. You can start at your own pace and spend just 20 minutes a day, practicing conversation. The site is user-friendly and tries to make language learning fun with games and prizes. And it's free! Another site I enjoy, both for its amazing photographs and helpful every- day expressions is French Word a Day by Kristin Espinasse. Kristin is an American who lives in a charming, rustic house with a vineyard in the south of France, with her husband who she calls "Chef Grape." You can sign up for her French Word a Day blog and it will appear in your inbox twice a week. Of course, there are some excellent books and tapes you can buy or rent from the library. I enjoyed an audio set by Pimsleur. If you like multi-tasking (and who doesn't? ), you can play Pimsleur while you go about your everyday tasks. Be sure to take part in the conversation, though, don't just let the dialogue wash over you. Engage in the conversation! You'll start with simple expressions that eventually morph into short conversations. A charming monsieur invites you out for dinner, and then he asks if he can come back to your place for a drink. Ooh-la-la! The choice is yours. Tell him oui or non, depending on your mood. 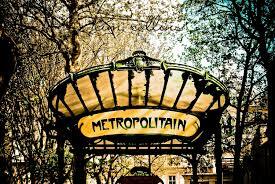 Before you know it, you'll be navigating the Metro, asking directions, ordering a meal in a restaurant, and charming the natives with your fractured French. Just kidding! I'm sure you'll do fine. Soon, you'll be saying confidently, "Un café crème, s'il vous plait." 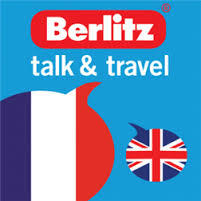 Berlitz has a whole line of foreign language instruction and you might want to choose one focused on travel and conversation. Save the heavy-duty French tenses for when you come home. Remember the subjunctive tense from your high school French? ("If I had known you were coming, I would have baked a cake.") Seriously, you don't need to know all the verb conjugations to have fun. 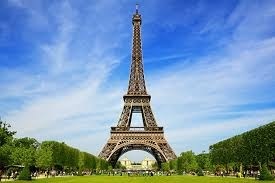 Finally, here's a terrific photo of the Eiffel Tower that my son took. Love it. What could be more glamorous than Paris "par nuit." Labels: Berkley Prime Crime, cozy chicks, Mary Kennedy, Paris, Parlez-vous francais? Love the picture that your son took! I can't remember as I went up the Eiffel Tower first thing in the morning, but is it open for tourists at night? It would have a beautiful view with all the lights of Paris. 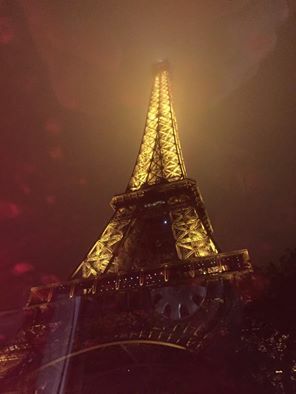 Eiffel Tower is open at nights and is a view that is a must every time that I'm in Paris - I'm European so trip to the city is affordable. Another stunning place is Sacre Cour in Monmartre which I have to see at night time - the cozy atmosphere in the area surrounds you, the beautiful lightning embracing the church and the stunning view of the Eiffel Tower in the distance. 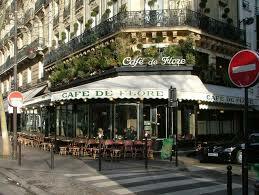 Make sure you see it in daytime too, as it seems like a different place yet you can sense some of the same atmosphere. Hi Cordella, so glad you tried the recipe! I've never tried freezing it, but I think it would do well. Thanks so much for stopping by. I'm going to post another pasta recipe using roasted peppers and fresh basil, I think you'll like it. 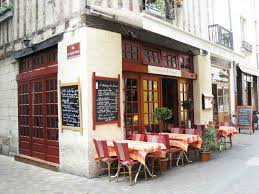 Hi Andaje, I love Montmarte (although the area around the Moulin Rouge was a bit of a disappointment the last time I was there. Sacre Coeur is really beautiful, though. Thanks for stopping by. Wonderful post, Mary! I love Paris and hope to get back in the next year or two, I really enjoy French Word a Day (your recommendation) and will try Duo Lingo. On my first trip to Paris, in the spring of 2001, we just happened to see the Eiffel Tower light up at dark. Magical. I had no idea it was open at night. Next trip, that's on my list. And we happened to walk past that incredibly beautiful Metro entrance; it stopped me in my tracks. Everywhere you look in that city there is something just heartbreakingly lovely, isn't there? One absolute must, along with all the usual sights, is the stunning Sainte Chappelle. Every square inch of this breathtaking little church is decorated in jewel hues, and if you go there on a sunny day it's even more beautiful. I've been there three times, and every time I'm moved at its glory. When we were there with my mother, two daughters, a son-in-law, and my then-infant grandson, we thoroughly enjoyed a dinner cruise on the Seine. Two hours on a leisurely moving boat, enjoying good food and wine, and also seeing a side of Paris that is normally a bit difficult to see. I think we went in late afternoon, too, so it was daylight out. All my life I've heard about the "rude" French, but I found that even an attempt to haul out my extremely rusty, 1960's-era high school French brought out the best in most of the local people. Also, manners are very important in France. Entering a store without being greeting by a proprietor or a clerk is inexcusable; not replying in kind is, as well. 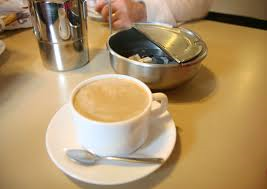 A simple "Bon jour" is all that's required to smooth the way. Rudeness is returned with rudeness, so you reap what you sow. Thanks for the tips on language study, Mary. I'll have to pass them on to my Granddaughter as she loves France. Hi MJ, thanks so much for stopping by...I love Duo Lingo and I learned quite a bit from Pimsleur, too. I multi-task and listen to the tapes, answering the narrator when I can. The cats look at me in astonishment. What is she saying? they wonder. Hi Nancy, thanks for stopping by, I think she'll like them! It's a lot of fun, Nicole, I think you'll enjoy it, thanks so much for stopping by! When I was in high school, the two choices for languages were French and Spanish. I really wanted to take French, but even as a kid I was practical. My chances of going to Mexico were much greater than my chances of going to Paris, so I took Spanish instead. I can't say I remember a lot of it, but certain things stuck in my head. However, since I have a time share in PV, Mexico, I really need to brush up. I'll check out the Duo Lingo. My niece and I had reservations to go to Mexico next February, but we're going to have to cancel. Finances are just a little too thin for both of us. I'm flying to Connecticut for a family wedding in August, which will use up my reserves. Maybe in 2017 we can go. I hope you have a wonderful trip. I'm looking forward to hearing about your adventure. Thanks so much for stopping by, Lynda! I'm disappointed that you can't get to Mexico, but Connecticut sounds good. You deserve a wonderful vacation.